Looking for a career as a Nutritional Therapist, look no further! Clinical Nutrition is the study of the relationship between food and a healthy body. More specifically, it is the science of nutrients and how they are digested, absorbed, transported, metabolized, stored, and eliminated by the body. How can the contents of your fridge lead to a healthier or unhealthier life? Our course gives the answers to questions everyone needs to know about, in order to live longer and healthier. Time to evaluate what we eat and how this affects our bodies! This course provides the ‘first rung on the ladder’ and can be combined with our advanced level course or used alone to help your clients to a healthier lifestyle. Intend to Study Nutrition to the Advanced Level? Nutrition 2 for 1 – If you choose to order the Clinical Nutrition & Advanced Nutrition Courses at the same time we will give you the non-advanced Course for Free (Offer does not apply to payments made by instalments). • Fatty Acids – good fats! • Diet for your blood type! 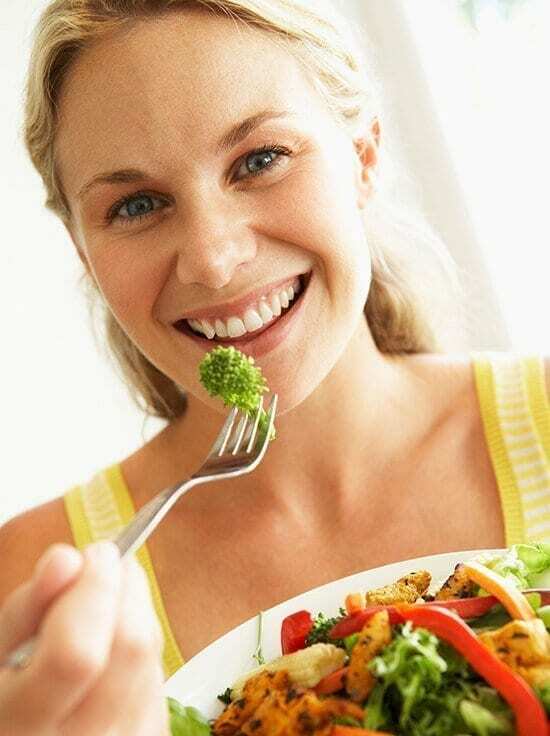 • Diets for Medical Conditions e.g. Osteoporosis, Cardio Vascular complaints, Diabetes, Hypertension, Coronary Artery disease etc. On successful completion of this course the student will have an understanding of human digestion, and the underlying principles of healthy nutrition. He or she should be capable of giving sound basic advice on the nutritional requirements for good health, in consultation with “paying clients”. Those wishing to take their understanding to an even higher level are recommended to expand their knowledge with our Advanced Nutrition course. Tony Edwards holds advanced qualifications in Nutrition, Counselling, Psychotherapy and Behaviour Modification, Stress Management, Transpersonal Psychotherapy and Naturopathy. He is a Nationally Registered Hypnotherapist and Hypnoanalyst, a Fellow of the British Institute of Hypnotherapy and a Registered Member of the Association of Natural Medicine. Tony is also the author of internationally recognised training courses and texts in these subjects. He is a member of several ‘Professional Bodies’ concerned with various modalities in the complementary therapy field, a Member of the Nutrition Society, and a Life Fellow of Medicina Alternativa. Those who have studied with us previously, will be familiar with Tony’s excellent presentation of many of our courses. These include: Hypnotherapy, Medical Hypnotherapy, Past Life Therapy, Diabetic Risk Awareness, and Meridian Psychotherapy. Tony has written an article entitled “Obesity – A briefing for Complementary Therapists” where he discusses the implications of the spiralling obesity problem. The article also suggests that Holistic Therapists have an ‘important role’ to play in combating the problem, by offering Nutritional advice to their clients. Loved the course(s) on Nutrition, and in fact loving all the courses I have done and am currently doing. Excellent instruction at an unbeatable price, and all at a time and pace that suits me personally. With sincerest thanks for this amazing opportunity to study and become accredited, to put learned skills to use. I have looked at a lot of study stuff ‘out there’, and have wholeheartedly promoted your school, as you actually give students something to take forward. Both in knowledge, accreditation, and application. Not all other courses offer that, and as I said, at an incredibly competitive price. I like the fact that the courses are set out in a particular format, so the student, once familiar with it, knows exactly what to expect, and how to plan their studies and chart their course by answering very relevant questions before taking the exams. All the courses I have chosen to take have been supportive of each other, with subjects crossing over, and consequently, providing a much bigger picture, and with a fuller understanding, the penny has dropped a lot faster! I am a mature student, having reached 68 years last month, but I don’t feel in any way excluded, or unable to achieve these qualifications because of my age. I have always believed in alternative therapies as a solution to the level of disease in the western world, and it is a delight to be able to back those beliefs with sound knowledge, understanding and now, application. Blessings, more success, and thank you again.